Well, um. That's reassuring I guess. Cleaned out and packed 99% of my fabric stash, and about 5% of my books. Pruned the contents of my tallboy, sorted clothes into keep, donate and chuck categories. Failed to find the packing tape. Cleaned out the bathroom cupboard. Deflated my swiss ball. Lost both sets of bike keys and found them again. Fabric weighs quite a lot. I'll trust the teflon tape to seal the joint, and the newer component on the left looks like it has life left in it. The "tested" pipe fitting on the right? 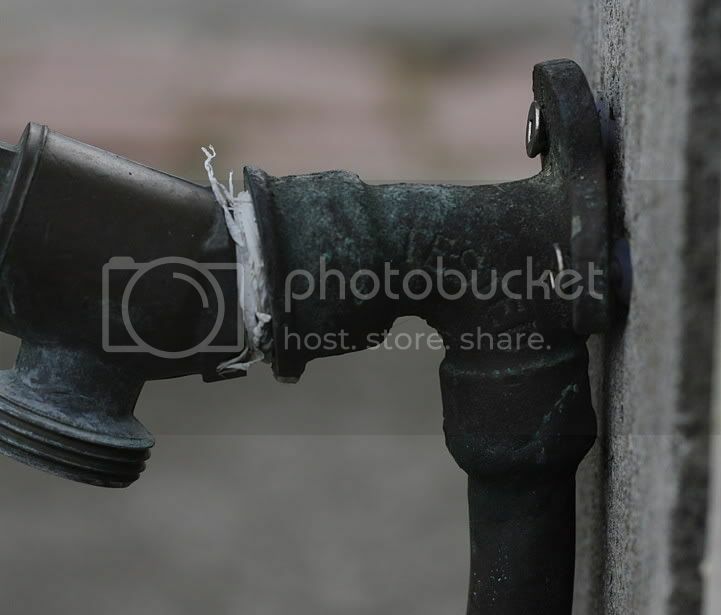 It might have a few more years of service life left before it splits, but I'll bet it's been damaged internally by the installation of the new fitting and will crack the next time it gets cold. Fortunately, it really doesn't get that cold here. Windy and rainy but rarely frosty, and not enough to worry about frozen pipes.